Last night, I went out for an hour and a half to try and catch a dinner. Mama Holman, did you hear that? I went for the specific purpose of bringing fish back for dinner. Just so you know, I typically let all the fish go. Mostly because it is work to clean them and I have plenty of food in the fridge. This isn’t a post about my thoughts on catch and release. This is a post about license fees. Since Labor Day, I have noticed a lot of commercial fisherman placing gill nets off shore, and last night, there was a 300 foot net about 50-100 feet in front of the jetty I was fishing. Now I don’t know all the rules about how close you can be to jetties and site specific regulations, but it seemed pretty close to me. Therefore, I looked up the regulations this morning. It turns out, it may be too close (I read something about no closer than 300ft to a bridge or jetty), but that wasn’t what got me thinking. 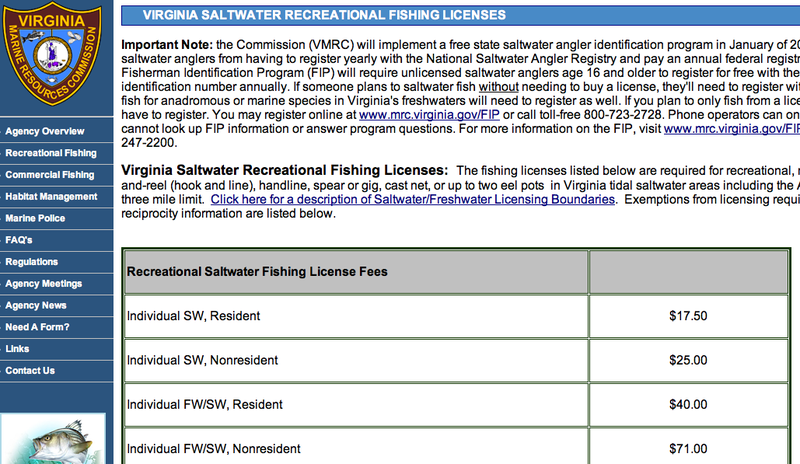 I pay $17.50 for a saltwater license as a resident of the state of Virginia. A Virginia resident commercial license is $190. 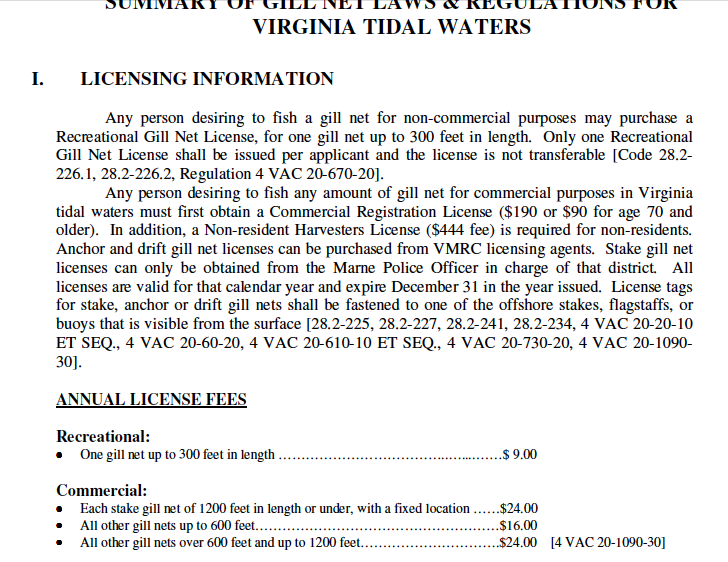 The license fee for one reccreational, 300ft gill net is $9.00 and $24 for one commercial gill net between 600-1200ft. I am supportive of responsible commercial fishing, just as I am in favor of responsible farming for corn or cattle or watermelons. I was simply interested in the prices of commercial vs recreational licenses. 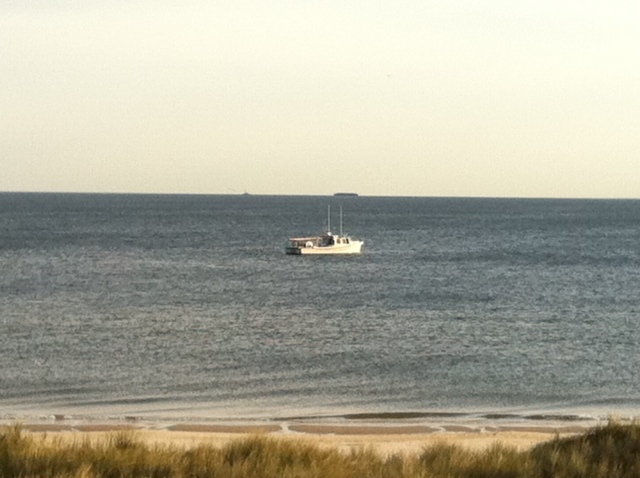 Is $190 + $24.00 a fair price to be able to harvest fish with a gill net? Given the relative pressure that a commercial fisherman can place on fish populations versus a single recreational fisherman, is that cost an appropriate proportional increase? Oh, and did you hear? OBN’s B-day this week. Lots of opportunities to win outdoor gear to review. Head on over and see what happens.